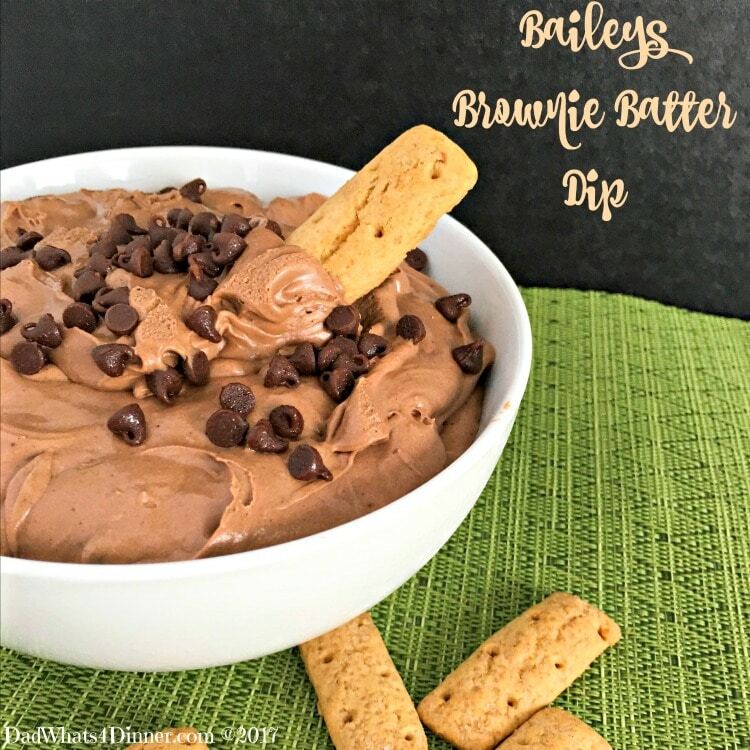 No need to lick the bowl and spatula the next time you make brownies, instead skip the baking and try my Baileys Brownie Batter Dip instead. 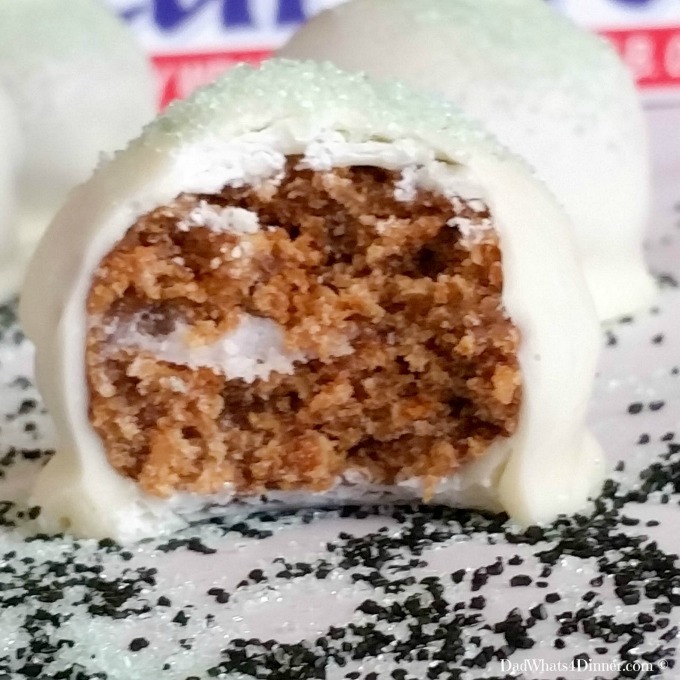 Smooth, creamy with a hint of Baileys Irish Cream. When we make cookies in our house my family would rather eat the dough instead of the cookies. Now I know that you should be worried about eating dough with raw eggs but I really don’t think they care. It is the same when I make brownies all they want to do is eat the batter or lick it off the spatula. 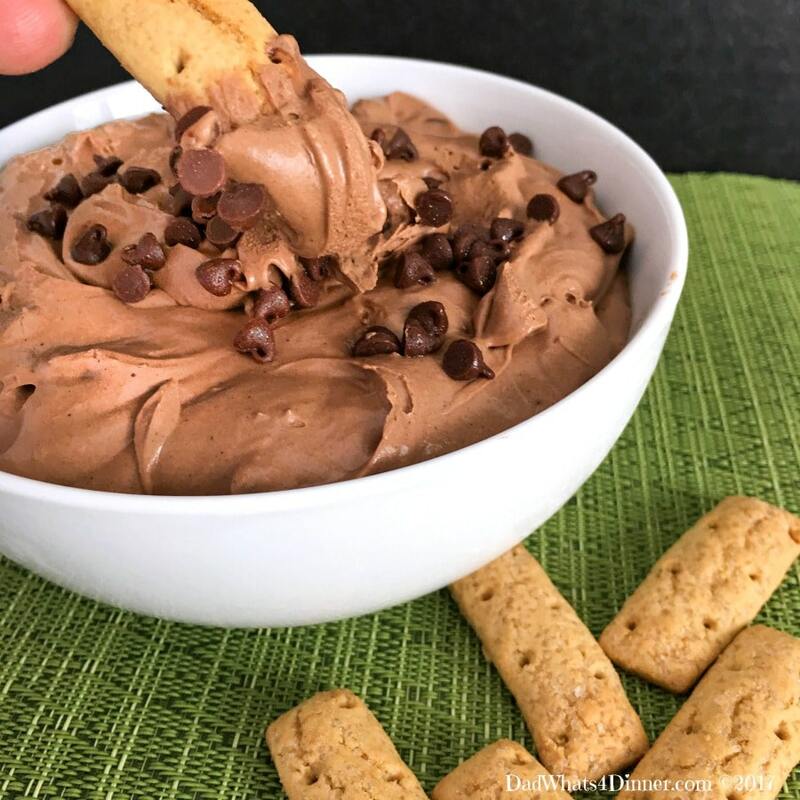 So I decided to make them this Baileys Brownie Batter Dip without eggs so there is no worries. This can also be made without the Baileys if you want it non-alcoholic, but it is a very small amount used. 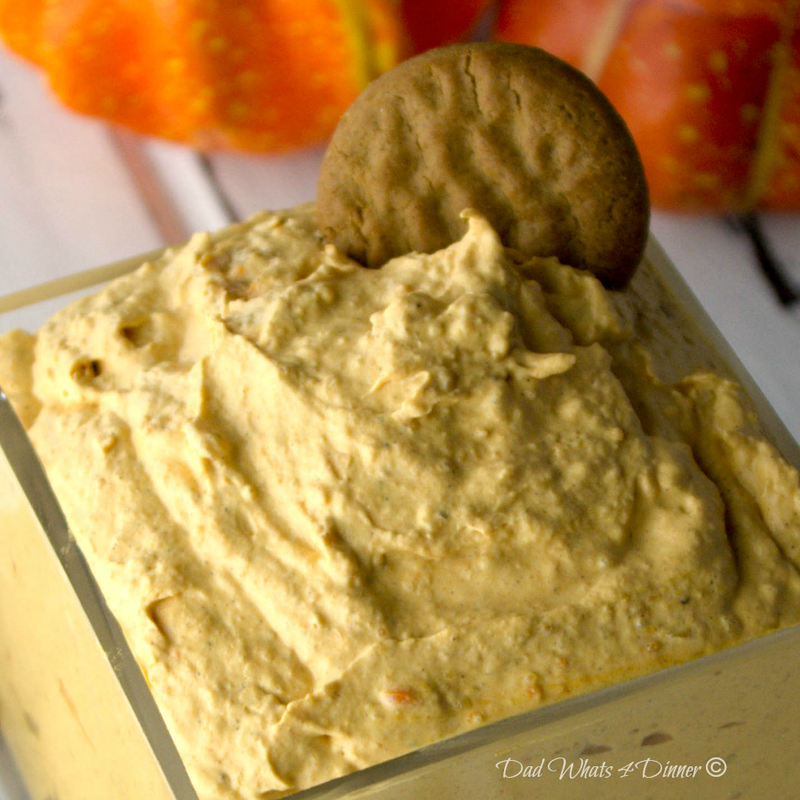 Smooth, creamy with a hint of Baileys Irish Cream; I like to serve mine with honey or cinnamon sticks from Kroger’s. 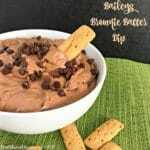 I will be bringing my Baileys Brownie Batter Dip recipe to Freedom Fridays, Friday Favorites, Fiesta Friday, Weekend Potluck, What’s Cooking Wednesdays. Checkout my Link Parties page for other great places to find new recipes. In a large bowl, using a handheld mixer, beat the cream cheese until smooth. Fold in cool whip and mix until smooth. Add in the brownie mix and Baileys. 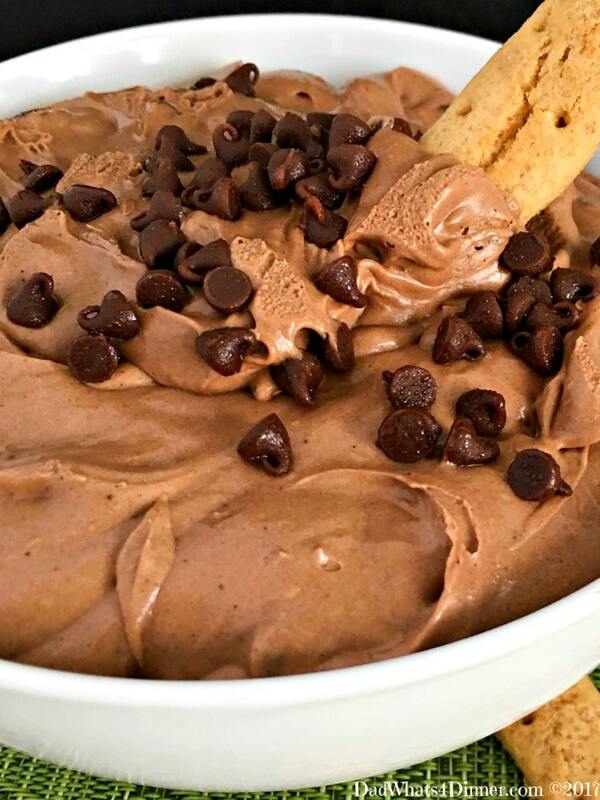 Mix until smooth and fold in 3/4 cup chocolate chips. Pace in serving bowl and top with remaining chocolate chips. Can you say face plant? I can and I would! Oh Quinn, how fun is this!! I’ll probably still lick the bowl though, hehe! !